New MacBooks iMacs and OS X 10.7 incoming? Apple is holding a special media event next Tuesday (20th October) with hints that it could be ready to update its MacBook and iMac lines and unleash a new version of OS X - OS X 10.7. The Back to the Mac event will take place in San Franscisco one week from today, and will kick off at 6pm UK time. 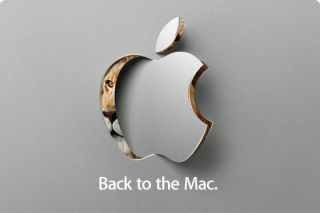 The invite sent out to the media this afternoon shows a lion peeking out from behind an Apple logo which seems to suggest that the successor to Mac OS X Snow Leopard will be named after the King of the Jungle, OS X Lion. The event is set to show some much-needed love for Apple's former bread and butter, its range of desktop and laptop computers, after a year dominated by the iPad, the iPhone 4 and, last month, the new line of iPods. It's been a turbulent year for the company, with all of the iPhone 4 shenanigans, but it looks like Apple is aiming to end the year on a sure-fire high.